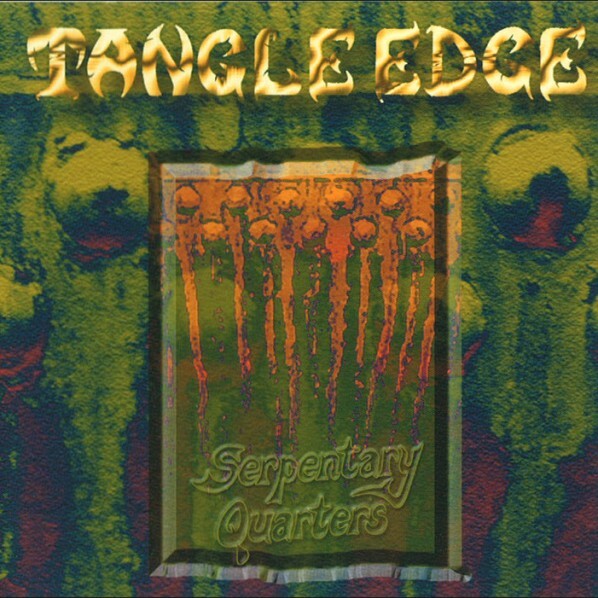 Tangle Edge is the household name for one of the best improvised rock groups in the world. Born in the mists of the 80s, they survived the pushing and shoving over the years and nowadays are more active then ever. It’s a delight to notice that the wealth of percussion still is at the forefront of their improvisational skills. This band never saw the dawn of synths, their sound unaltered filled with Nygard’s raw, open guitar chops, Horrigmoe’s myriadly hooked plugged bass and Steinberg’s chameleonic drumming as on “Transcendental Virtue Part 1: Serene Procession”; which comes as a total abstract painting after the ephemeric melodic opener “Emerald Mound.” “Part 2: Beyond Elevation” brings this session to a climatic close with outrageous sounding bass, ecstatic high pitched guitar riffing and rhythmic balance on the edge. I mentioned earlier about no synths, however electronics are sometimes present and innovatively treated as on the very atmospheric intermezzo “The Seventh Tide.” “Daidalos Hunt” ends the album as an uptempo piece in which the guitar laments in eastern language. No letdown here.